A zoo in the Netherlands plans to set up a webcam to help its orangutans form long-distance relationships with potential mates in Indonesia. 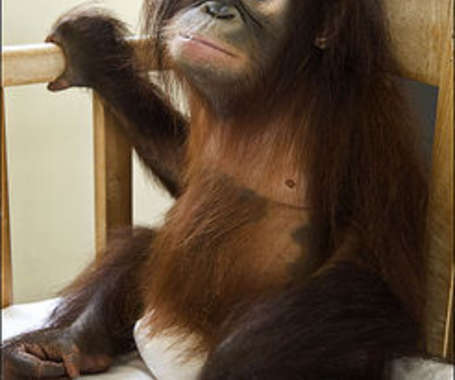 The Indonesian orangutans are kept in small cages at a centre in Borneo, protected from loggers and palm oil firms operating in their habitat. 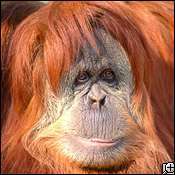 Anouk Ballot, spokeswoman for the Dutch ape park in Apenheul, said the Borneo apes had been short of entertainment. She hopes the apes will now "meet and interact with each other." The rescue centre in Borneo receives 30 new admissions a day.